28th Macroecological Seminary performed on CTS at irregular bases. 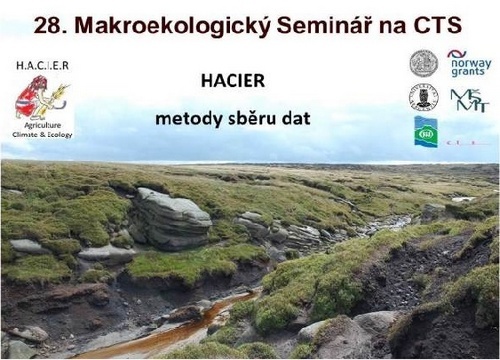 Starting at 1 p.m.
Arnošt Šizling a Petr Pokorný will refer methods and goals of data collection that will be held during a summer expedition (HACIER project). Discussion with colleagues and students from the Faculty of Science, Charles University in Prague, the logic of the research.